Prepare yourself! 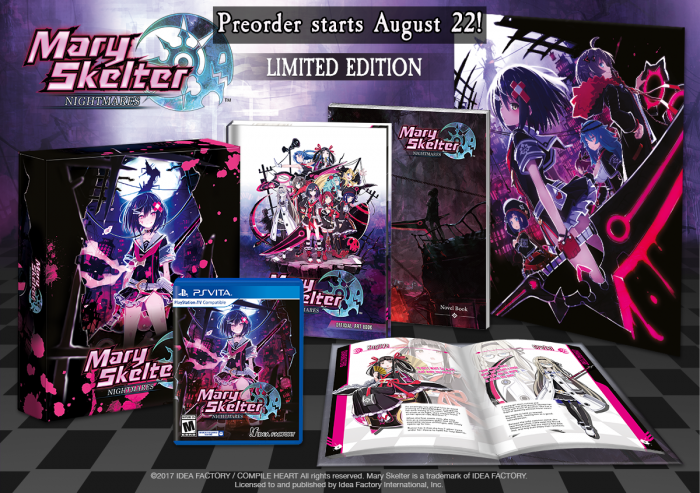 Preorders for the Mary Skelter: Nightmares limited edition begin TOMORROW, August 22 (10AM PDT for NA; 12PM BST for EU) and will be exclusive to Iffy’s Online Store! *Preorder link for the EU store will be live on 22 August.